2018 VW Tiguan or Nissan Rogue — Which SUV is Right for Seattle? 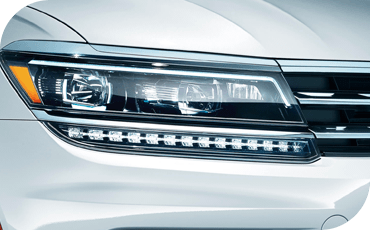 Newly refreshed and enlarged for 2018, the Volkswagen Tiguan is back and better than ever! With more interior space and an available rear row to seat up to seven, the new VW Tiguan is proof positive that, sometimes, bigger is just better. But is it better than the 2018 Nissan Rogue? We think so, and we'll prove it to you in this information below! We compare these two popular family SUVs in areas like comfort, performance and safety to show you which one is a better fit for your needs. 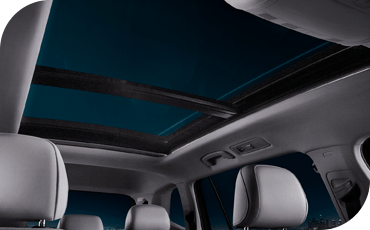 If you're looking for serious flexibility, the 2018 Volkswagen Tiguan is the only vehicle in its class with an available third row of seats. Keep it folded for more cargo room, then fold it up when it's convenient — it means the 2018 VW Tiguan can be configured to seat up to seven, compared to just five in the Nissan Rogue. Or, you can simply forego the rear seats entirely, giving you plenty of permanent cargo room and more legroom for second row passengers than the 2018 Nissan Rogue. 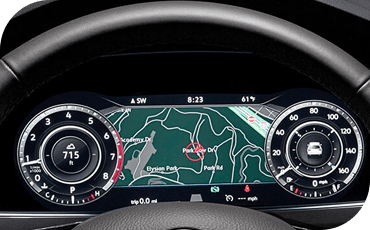 The available Park Distance Control system takes parking sensors and backup cameras to a whole new level on the 2018 Volkswagen Tiguan. Not only will it provide an audible beep to indicate how close you are to the vehicle behind you, included Maneuver Braking technology can stop you before you bump any obstacles. 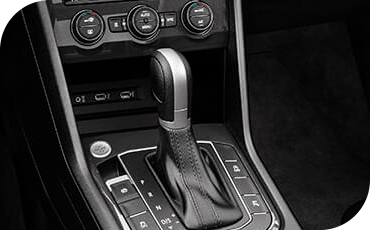 This advanced technology lets you pull into even the tightest parallel parking spots with confidence. Unlike the engine inside the 2018 Nissan Rogue, you'll find a turbocharged engine under the hood of the 2018 Volkswagen Tiguan. That makes it significantly more powerful! Compared to just 170 horsepower and 170 lb/ft of torque offered by the Nissan SUV, the the VW Tiguan provides 184 horsepower and a staggering 221 lb/ft of torque. Especially with larger vehicles, torque speaks to how quick a vehicle feels from a stop — which means the 2018 VW Tiguan is just plain more fun to drive. Both these vehicles earned Top Safety Pick awards from the Insurance Institute for HIghway Safety — that said, the 2018 Nissan Rogue has not yet completed the passenger-side small overlap crashworthiness test. This is the newest test added to the IIHS gauntlet of crash tests, and many otherwise-strong performers from other manufacturers have fallen short of the ideal result here. However, the 2018 Volkswagen Tiguan earned the best-possible score of "Good" even in this crash test, earning perfect crashworthiness scores across the board from the IIHS! While both these family SUVs can be equipped with numerous advanced driver assist features, there's one that you'll only find on the 2018 Volkswagen Tiguan: Reverse automatic braking. When traveling in reverse — say, in a crowded parking lot or just around a blind corner — the 2018 Nissan Rogue can alert you to passing traffic, but won't engage the brakes for you. 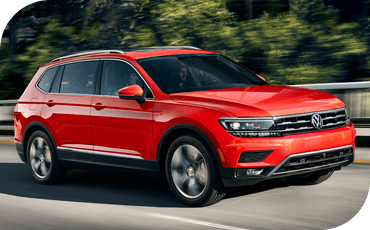 But the 2018 Volkswagen Tiguan can!